In Fishdom: Depths of Time you will submerge into the unique deep-sea world with your amusing aquatic buddies that will never let you feel bored! Take care of them, watch them play with each other, as you travel in time through different epochs. Decorate your fish tanks with over 150 exclusive ornaments and 8 immersive backgrounds. Enjoy 250 new match-3 levels with perfected mechanics. Your pets are waiting for you, go check them out! 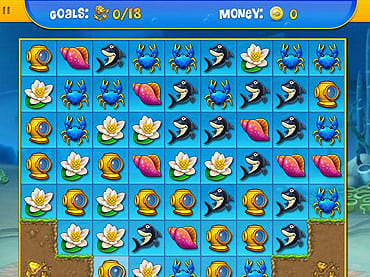 - In Fishdom: Depths of Time you can travel in time with your underwater pets! If you have questions about Fishdom: Depths of Time game, please contact us using this form.